The AMOLED screen on the 6P is gorgeous. 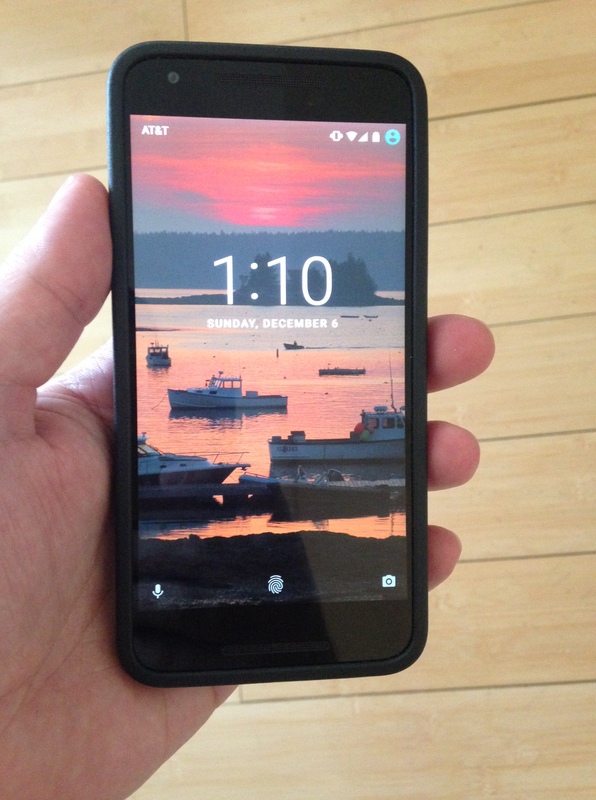 The 6P’s 5.7″ screen hasn’t made anything better or easier to read however. 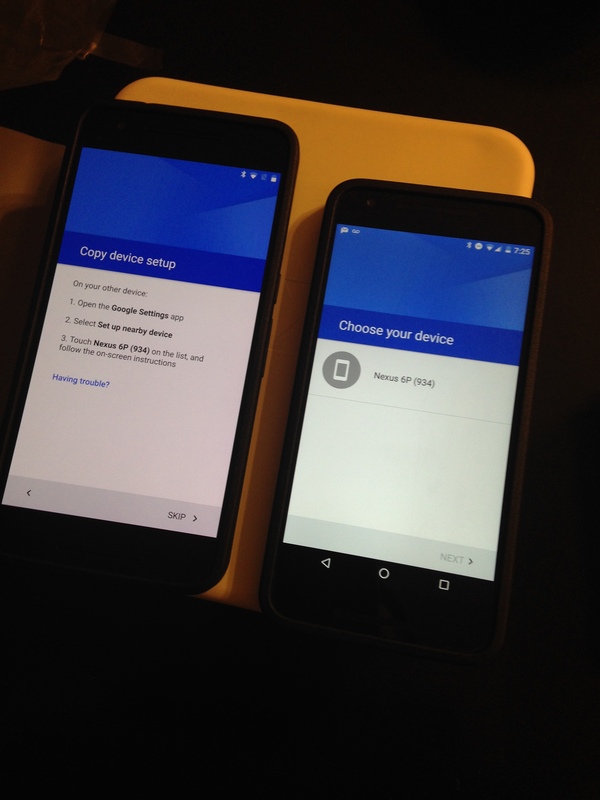 The 6P is noticeably snappier, where the 5X had a few instances of lag, the 6P has had none. It’s fast. The weight, I definitely notice the weight difference. Where I can easily hold the 5X one handed for ever because it’s light as a feather, after a few minutes of one handed 6P use my wrist starts to feel it. And it’s slightly top heavy, thanks to the camera. It’s only slightly bigger but whereas I could just barely one hand the 5X, my thumb can’t get to the other side on the 6P. The 6P is also big enough to be noticeable in my pocket where the 5X blissfully disappeared to the point of me forgetting the phone was there. The 6P won’t fit in my car’s cup holder, the 5X fit perfectly. Car manufacturers take note. The speakers. The 5X on speaker phone was Ok, the 6P is awesome. Playing music or video on the 6P (sans headphones) is a delightfully loud experience. The battery on the 6P is insane. Like “I will never worry about running out of battery at a conference again” insane. I’m a few weeks in with Android now and the journey has certainly been interesting. App Wars, a pull back to the iOS side and Google (Project Fi) Strikes Back to follow. Glad to see you’ve come over to join us Andrew!